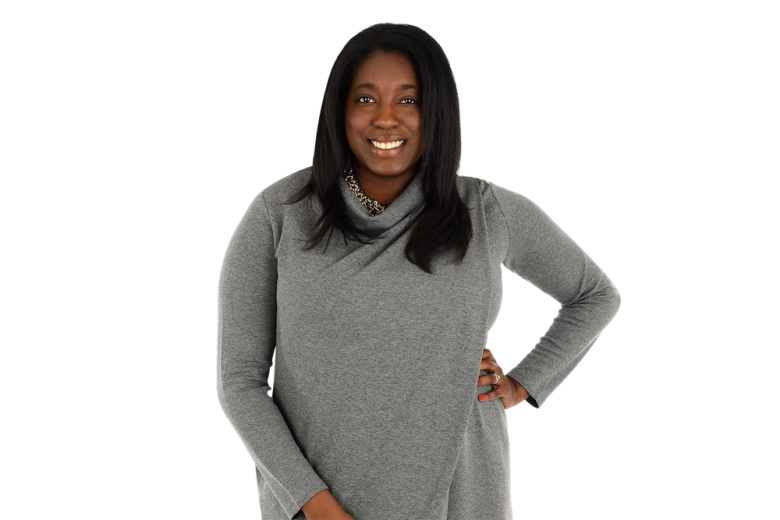 Tineka Smith, is the founder of Huetribe, a new greetings card publisher set up to promote social inclusivity and celebrate the beauty and diversity of modern day relationships by catering to interracial and LGBTQ couples. What was your inspiration for setting up Huetribe? The idea for Huetribe came after years of trying to find cards that reflected interracial relationships, like mine. I would search online or in stores to find something that was suitable, and failed. When I got engaged, I wanted to find a card to give to my then fiancée. He loves riding bikes, so I wanted to find a card with a black woman and white man on a bicycle together. I had really hoped that, in this day and age, there would be more options for interracial cards; instead, I had to resort to buying a card with a white couple on a bicycle together. That’s when I thought: this is ridiculous. My social circle is very international and multi-cultural, and the problems I encountered as a consumer shopping for greeting cards that reflected my relationship were the same for my Asian, black, Latino or mixed raced friends. The last straw happened when my husband bought me a greetings card for our anniversary that featured penguins – because it was the only one he could find that had a ‘black and white couple’ on it! The hilarity of the situation all but masked our frustration with an inconvenient truth: that our love was not deemed relevant enough by publishers to create a quality product that adequately celebrated it. It’s ‘small’ things like being able to shop for a card that reflects your life and your relationship status that indicates a much bigger, more significant vision. It’s a vision that illustrates a society that acknowledges, accepts and respects you as an individual and that of the life you live – whether you’re Black, White, Asian, or identify as LGBTQ. What do you hope to achieve with Huetribe, given it is targeting such a niche market? I’m not sure I agree that the market is niche. The purchasing powers of minority demographics are regarded as a substantial asset to the UK economy. Society, despite arguments to the contrary, has clearly been enriched by immigration, and the so-called pink pound alone is estimated to be worth around £6bn per year. A lucrative market awaits those businesses that get their engagement and product design right. But the reality is that many are still missing the mark. The truth is, the gifting and greeting cards industry has still yet to wield some serious clout in promoting minority group interests and engaging meaningfully with this audience. Some progress has been made with larger retailers creating gender-inclusive cards but as far as cards with different ethnicities go, many are still hesitant. My goal is to create a change within the greetings card industry. I want people of different ethnicities, gender and sexual persuasions to be able to walk into a store that sells greeting cards and have the choice to pick up something that represents themselves or their family and friends. 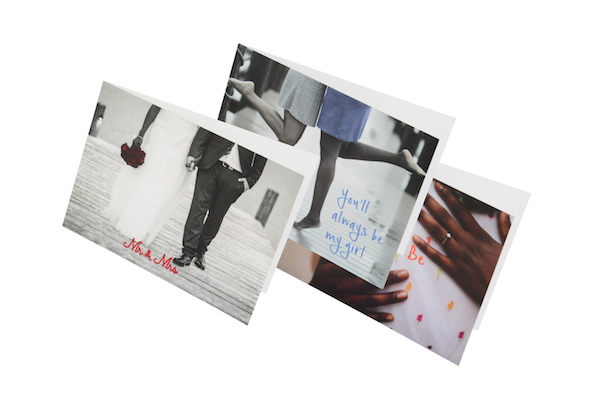 We have to offer more to consumers than only white, heterosexual people on greeting cards. If I can influence larger greetings card companies or individual publishers to make cards that reflect the LGBT, interracial and minority communities, then that would be the ultimate win for me. If my cards pick up a small percentage of the market in the midst of that, then that’s just the icing on the cake. Last month, just before Pride 2018, we struck up a partnership with Scribbler, who now stock our Huetribe cards. 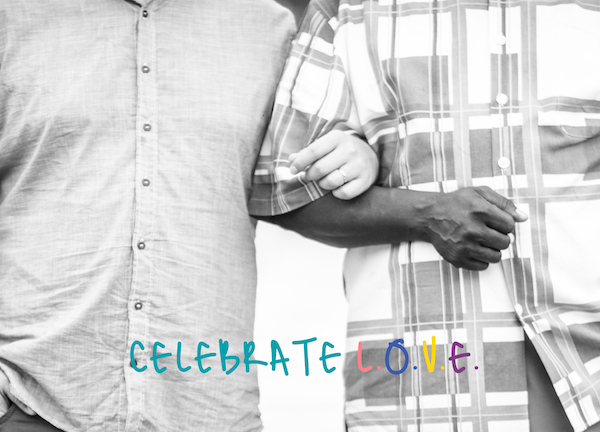 In turn, they have become the first high street greetings card retailer to cater to interracial and LGBTQ couples. Change is happening, and that is a positive thing. Before Huetribe had you ever run or started up your own business? No, but I come from a family of female business owners. My mother is a clinical therapist and ran her own successful practice for several years. She genuinely loves helping people. I think if you are driven by a purpose and are able to make your passion, beliefs and your principles a job or are able to convert these into a viable business, then that’s a truer measurement of success (beyond, of course, just balancing the books). What I’ve learnt about work ethics and business, I’ve learnt first hand through her. Huetribe is very mission-driven and born out of a real and very human problem. I kickstarted the business while I was still working full time at the UN as a communications consultant. This has obvious challenges – namely time. But it’s not uncommon for people to still pursue careers with a business on the side. The main thing is to have your eye on the bigger picture and a realistic end goal; this often gives you the energy to push through tough periods where you feel overwhelmed. “The squeaky wheel gets the oil.” I think it must have been my dad who told this to me as he always came up with great life analogies. (Another was: “Don’t write a check that your mouth can’t cash”). Yes it’s an old fashioned saying, but it’s never been more relevant than today. We might hanker over something really badly or maybe we want to initiate change – but nothing is going to happen unless you make some noise. We’re seeing that a lot today in business; emerging trends indicate that brands want to use their power and notoriety for social good or to effect a positive change. Celebrating individuality and integrity of character of all kinds of people through product offering and design is being used as a means of engaging with audiences, stoking debate and, in a sense, curtailing the tide of hate against minorities that has arisen in an increasingly disillusioned, angry, post-truth world. We’re seeing it in ice cream brands, vodka bottles, make-up brands and even dog food. It’s a revolutionary time. Where governments and politicians are failing to effect positive social change, brands and consumers are stepping in to select or create products and designs that are more reflective of the inclusive values of a richly diverse society. My role models are mostly intelligent and strong black women who work hard to change the world around them for the better. This includes some of the women in my family – like my mother and cousin, who is also an entrepreneur – to high profile people such as Michelle Obama, Oprah Winfrey and Shonda Rhimes. Any person that has to fight for what they believe in a world that might not necessarily be in their favour is inspiring to me. What’s been the biggest obstacle you have overcome? Definitely launching a business! I’ve had very challenging and demanding jobs but it really is true that starting a business, especially if you’re creating a product, is mentally and emotionally gruelling. It’s also scary and a huge risk as you’re putting your idea out there and it can very easily rejected. Starting a business takes courage, grit and determination. However, supportive family and friends make such a difference to the journey and put you in a positive and winning mind-set. Being called an ‘innovator’ in the greeting card industry by Mintel Research and seeing Huetribe – the first ever card company focused on minority groups – being stocked by high street retailer Scribbler were key moments for me. It’s wonderful when something you’ve put blood, sweat, and tears into is finally validated. What are your top three pieces of advice for someone wanting to do something similar? Protect your business assets! I trademarked by business and copyrighted my designs before launching and it actually saved my business from a potentially crippling legal situation. Market research is a must. I was able to prove there was a need for cards like Huetribe through a survey of 2,000 Britons of various ethnicities. This really got the attention of a few stores and gives credibility to your brand. I also ask for feedback from stores and individual customers, which has directly influenced some of the designs I’ve created. And finally, “the squeaky wheel gets the oil!”. Talk about your business with everyone, network, go to events, speak to the media, and make friends with similar companies to yours. If you have a message, shout it from the rooftops and eventually someone will have to listen. Huetribe greeting cards are now available at Scribbler stores in Cardiff, Bournemouth, Oxford, Kensington, Hammersmith; Bond Street, Bishopsgate, Kings Road, Glasgow Buchanan Street, Newcastle, Rathbone Place, Manchester, Edinburgh, Islington, Wardour Street and Kingston, as well as online.